It made more money than James Bond! New Year, new exciting 101 Films feature! Lewis and I have come up with yet another 101 Films podcast. We’re becoming like a crisp/chip company with all our various ‘flavours’. Joining our standard podcast (the Ready Salted, if we’re going to stick with the crisp flavour analogy), our Specials (Salt and Vinegar) and our Extras (Cheese and Onion) is the Movie Marathon (erm… BBQ?). In the Movie Marathons Lewis and I will watch several films in one go all based around a theme. Our first is on a subject that has popped up surprisingly often on our podcasts – British sitcoms turned into films. After much debate, with so many to pick from (see here for a full list), we decided to work our way through Till Death Do Us Part, On The Buses, Dad’s Army, Are You Being Served? and The Likely Lads. Now, I’ll be honest dear listener, a couple of these we didn’t make it through as they were so, so poor. But there were also some real gems, as well as a few surprises. Enjoy! If our Movie Marathon has piqued your interest in these films, you can buy The British Comedy Collection on DVD (all 12 discs of it!) from Amazon by clicking on the link (and we get a little bit of cash if you do – thanks in advance). We’d love to hear your own film recommendations and suggestions for future themes for Movie Marathons. Please get in touch at 101filmsyoushouldhaveseen@gmail.com or leave a comment on the blog. Feel free to say nice things about us on iTunes! New Year (more or less), new podcast format! After talking about it for ages, Lewis and Ian finally do a Movie Marathon; six hours of watching films based around a particular theme. 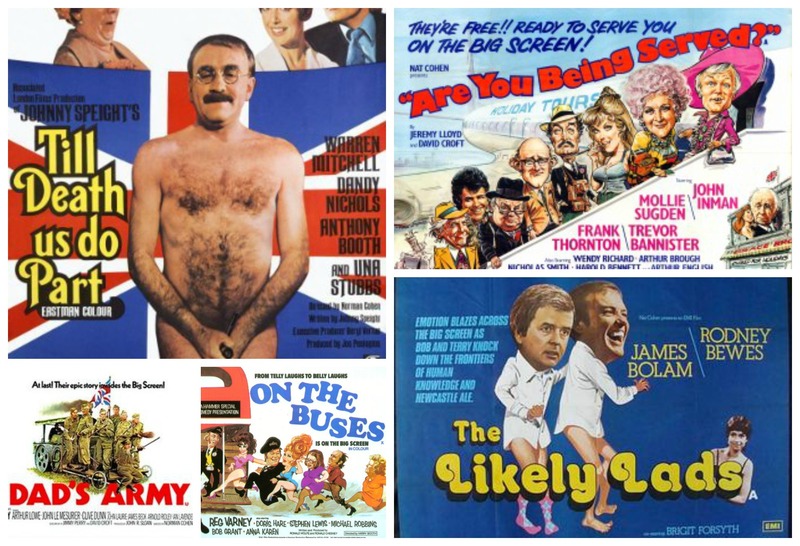 And what better theme is there for the first Movie Marathon than films based on British sitcoms? Yes, that’s right, there were loads of better ideas. But we went for this one!